I know I said this last year, but it continues to hold true: The $250,000 Remington Springboard Mile Stakes at Remington Park has been quietly attracting fields of higher and higher quality over the last few years. In 2012, the runner-up was Will Take Charge, who went on to be the champion three-year-old male of 2013, and last year, the capable sprinter Bayerd won in narrow fashion over Shotgun Kowboy, who came back to win the Oklahoma Derby (gr. III) earlier this fall. This year’s renewal of the race has drawn a quality field of twelve, with one of the most intriguing runners being the California shipper Esposito. The son of Ghostzapper didn’t sell for much as a two-year-old in training, bringing just $45,000 back in March, but the colt has already earned back the majority of his purchase price and looks poised to earn even more. After finishing third in his debut at Santa Anita, Esposito crushed six rivals in a 6 ½-furlong maiden race at Del Mar, winning by 2 ½ lengths while running his final five-sixteenths in about :30 1/5, a solid fraction. The stretch-out to a mile is a bit of a question mark, but trainer Tom Proctor is showing a lot of confidence by shipping Esposito across the country to make his stakes debut, and drawing post two should help Esposito work out a ground-saving trip. He is my selection to win. His stiffest challenge could potentially come from the local runner Suddenbreakingnews, who has finished first or second in all four of his starts so far. Trained by Donnie K. Von Hemel, Suddenbreakingnews unleashed an impressive late rally to win the seven-furlong Clever Trevor Stakes at Remington Park, but got a very favorable pace setup and actually didn’t have the strongest closing fractions. He also got a nice setup when second in an allowance race two starts back, so although his credentials are strong on paper, I think he could be vulnerable if a fast pace fails to materialize. For that reason, I am very interested in Battle Tap to round out the exacta behind Esposito. After a sixth-place effort in his debut, he came off a 3 ½-month layoff to finish third behind Synchrony in a Keeneland maiden race, then stretched out to 8.5-furlongs at Churchill Downs and parlayed a pace-tracking trip into an impressive 5 1/2-length victory. His proven form around two turns is an asset, as is his tactical speed, and trainer Steve Asmussen has had a lot of success at Remington Park. This steadily-improving colt has kept good company and looks ready for another big effort on Sunday. Another promising Churchill maiden winner is Blue Wings, who broke his maiden sprinting by 5 ½ lengths on November 20th. As a son of Giant’s Causeway out of a Fusaichi Pegasus mare, he has the pedigree to handle more distance and deserves respect, particularly if he goes off at 8-1 or more. Also deserving a look are Uncle Brennie and Discreetness, the third- and fourth-place finishers in the one-mile Street Sense Stakes at Churchill last month. Street Sense winner Mo Tom demonstrated the quality of the race when he came back to finish a strong third in the Kentucky Jockey Club Stakes (gr. II), and the slight drop in class for Uncle Brennie and Discreetness could be all they need to get back in the mix for victory. As you can see, the quality of the 2015 Remington Springboard Mile is quite good, and it’s easy to envision a number of different horses winning the race. However, with relatively little pace in the race, I think there’s a strong chance that Esposito and Battle Tap will be involved from the outset, tracking a modest pace before going on to finish 1-2. Blue Wings and Discreetness would be my top choices to round out the superfecta. Now it’s your turn! Who do you like in the Remington Springboard Mile? On a slightly different note, Todd Pletcher's promising two-year-old Prospectus--who I profiled in my last Unlocking Winners blog post--is entered to race on Saturday in a six-furlong allowance optional claiming race at Gulfstream Park. Prospectus has drawn post eight in a field of eleven and is listed as the second choice on the morning line at 4-1. Post time is 3:35 pm EST--be sure to tune in and watch! 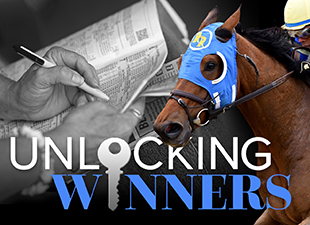 To help simplify the process of choosing and keeping track of everyone's prime horse selections in our 2016 Road to the Kentucky Derby Handicapping Challenge, I would like to ask everyone to please submit their prime choice each week by leaving a special comment on the official blog page for the contest. This will greatly reduce the chances of any prime horse selections getting overlooked, and will also make it simpler to double-check the standings. Thanks, and enjoy the racing! J. Keeler Johnson (also known as "Keelerman") is a writer, blogger, videographer, handicapper, and all-around horse racing enthusiast. A great fan of racing history, he considers Dr. Fager to be the greatest racehorse ever produced in America, but counts Zenyatta as his all-time favorite. He is the founder of the horse racing website http://www.theturfboard.com/.